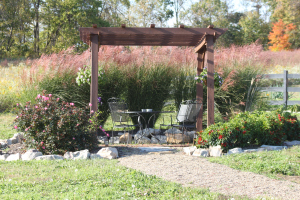 Although it’s a little early here in Ohio to get into all out landscaping mode, late February and early March are GREAT times to transplant ornamental grasses. 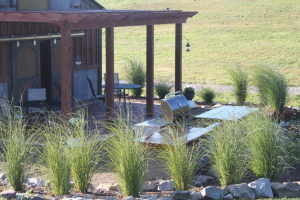 We have a huge area around the new barn and patio to landscape – and ornamental grasses of all different sizes and colors will be the plants of choice. Just a tiny transplant two years ago – these grasses have grown to shade in the entire back side of the upper pergola area. 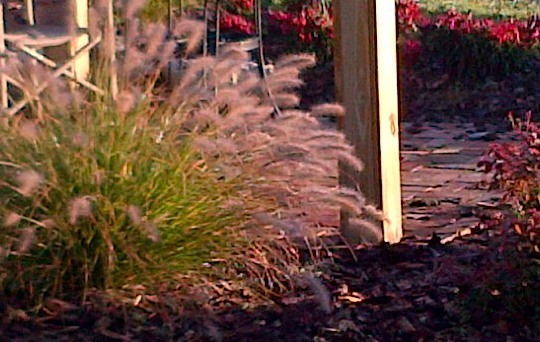 Ornamental grasses are growing in popularity each year –and with good reason. Grasses are a great addition to any landscape – and are one of the easiest perennials to care for. They are drought resistant, over-watering tolerant, and have very few insects or diseases that attack them. Even the dreaded Japanese Beetle is not a threat to most ornamental grasses. They may stop by to hang out now and then on the blades, but do not consume them as they do with rose bushes and other plants in the yard. 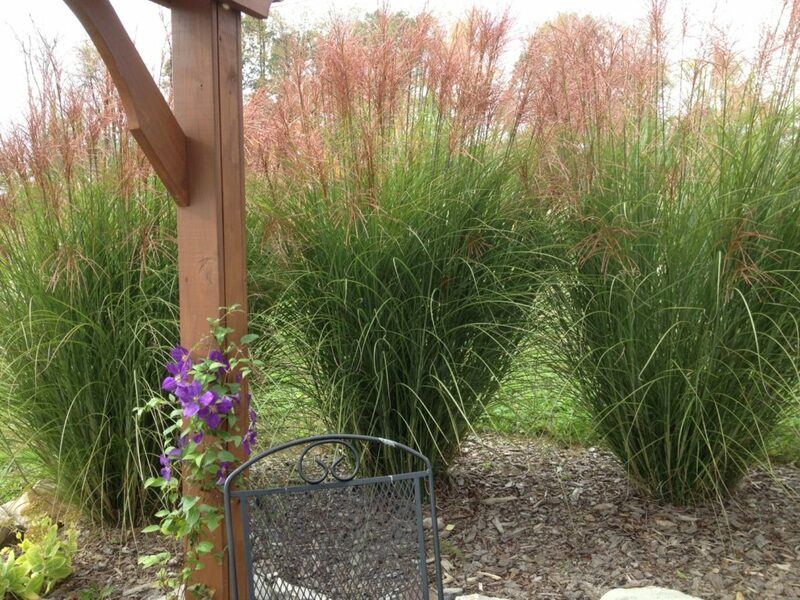 In addition, ornamental grasses provide great spring and summer cover – followed by beautiful fall colors and blooms that can range from feathery to willow like greens, reds and browns. We leave our grasses up through the winter as well – providing a great look to the winter landscape and giving great cover and nesting material to birds. 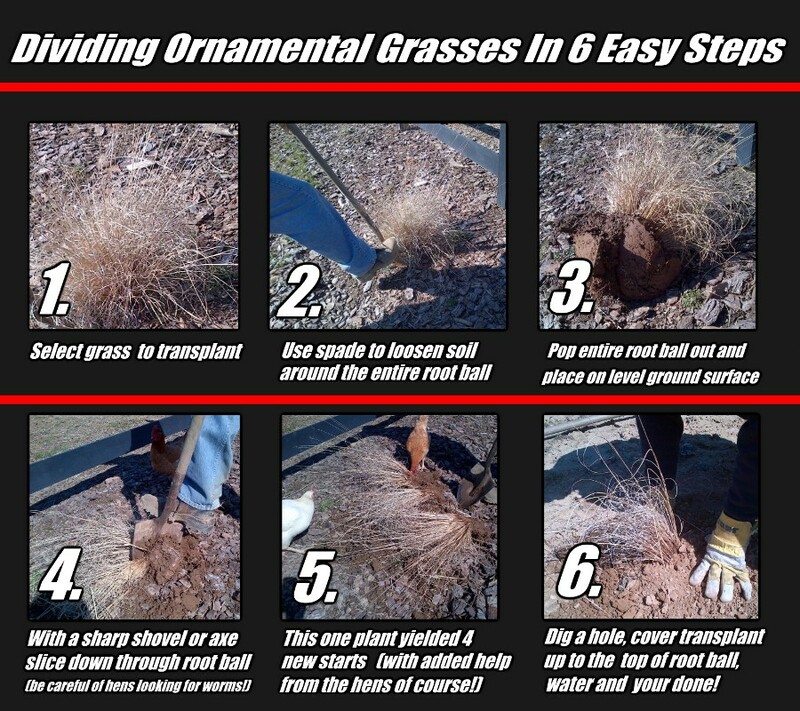 Grasses can be divided into two basic groups – clump formers and tubing formers (rhizomatous). My favorites, and the focus of this post – are the clump formers – they are easy to take care of and can be divided easily to bring extra plants and beauty to your landscape for cheap! Although the tubing formers (rhizomatous) can be an excellent ground cover – you must be careful where you plant or else they can quickly spread, becoming invasive and taking over entire areas of your garden and landscape. Clump varieties can take on almost any size and color. They can range from as little as 8 to 10 inches to more than 15 feet high and taking on colors of green, green/yellow, green/blue, blue, red, brown, and variegated. Grasses can be dug up every year and split to keep plants at a certain size – or left go for a few years to develop larger clumps and a bigger impact. 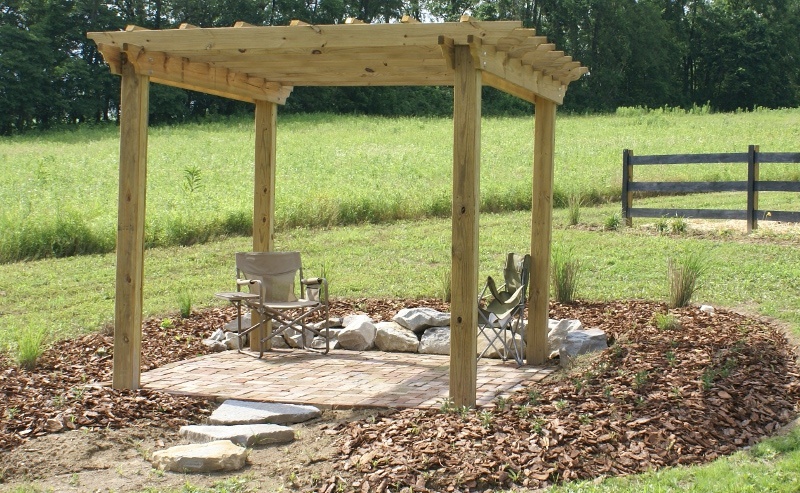 So – back to the barn landscape – it’s all in now….at a cost of….$0! Through using plants that we have acquired through the years, and trading varieties of our clumps with family and friends that had others – we put in 100+ plants for free – not a bad day at the ol’ farmstead! 1. Purchase a plant you really like at a nursery, let it grow for a year, and then divide into smaller plant. We have been able to get 4 to 6 plants from an original plant the very next year. 2. Find a friend or a neighbor who has a big clump of a grass growing you like and ask for a start or two in return for helping to thin them out. We were able to get 24 plants of a special small grass we wanted just this past weekend by volunteering to thin out some overgrown clumps from a business landscape. It took us about 10 minutes to dig up, divide up the large clumps and replant smaller grasses back. 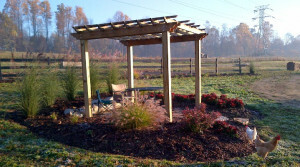 Our take – we got to take home 24 extra plants to use around the barn landscaping. (extra tip – when digging large older clumps – be careful not to take starts from the center –this is where the plant “dies out” as it grows. 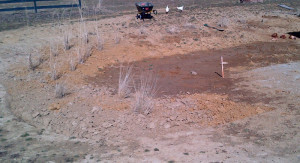 – we just chop up this dead area and throw in the compost bin).